It’s here! 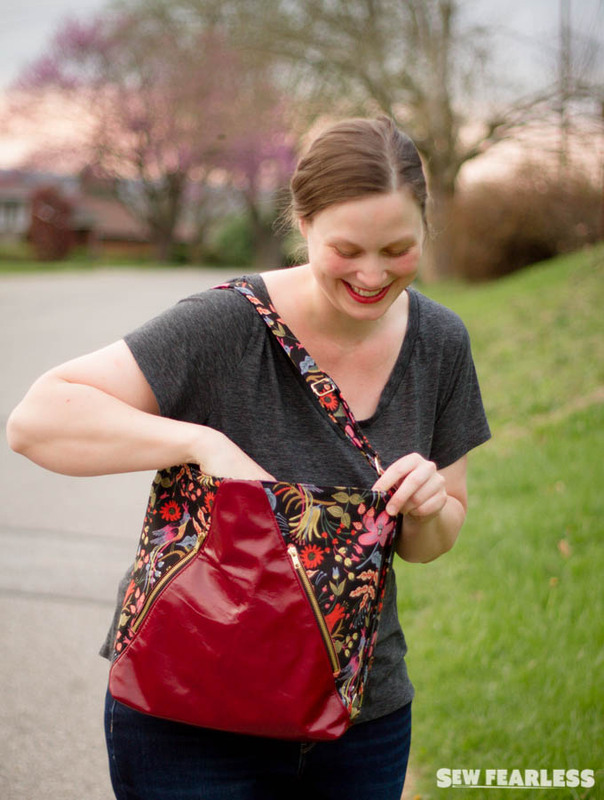 The Pavia Backpack pattern is here! 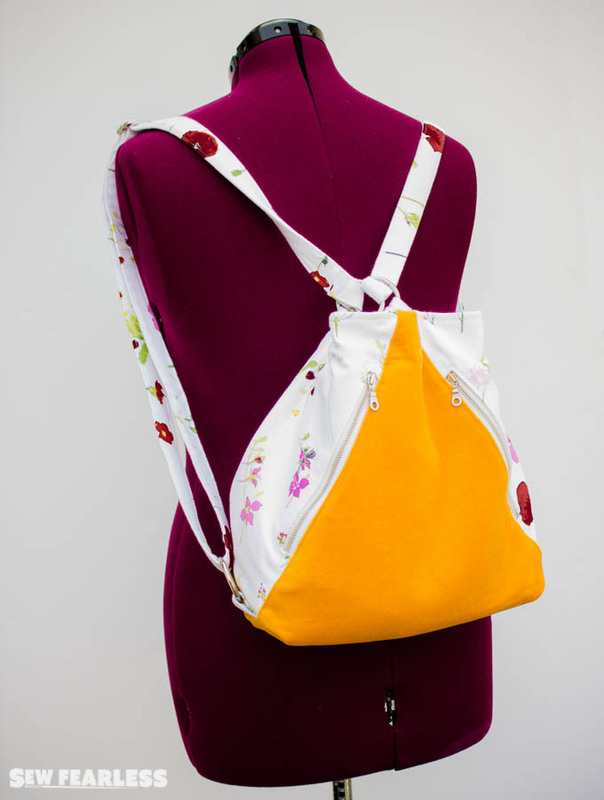 It feel like I have been promising and teasing this bag for forever, but it was worth the wait. 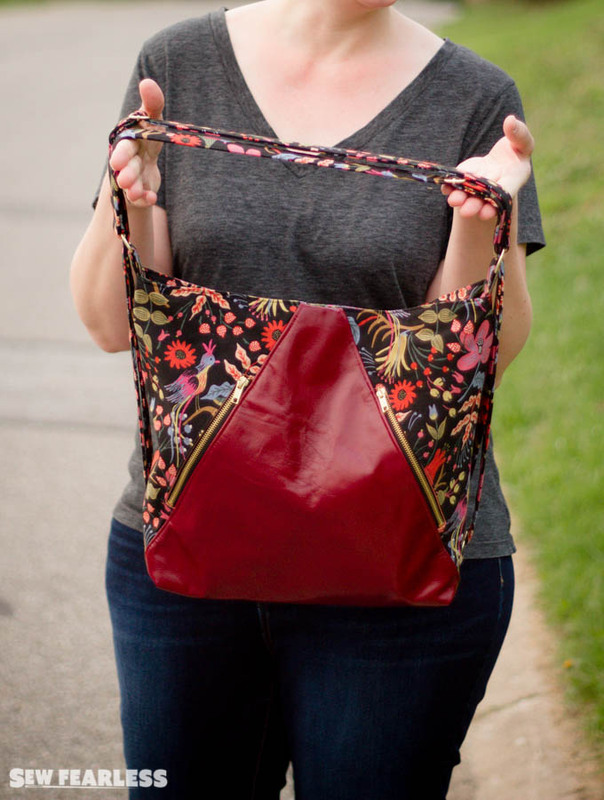 I am thrilled with this pattern and the bags that can be made with it. 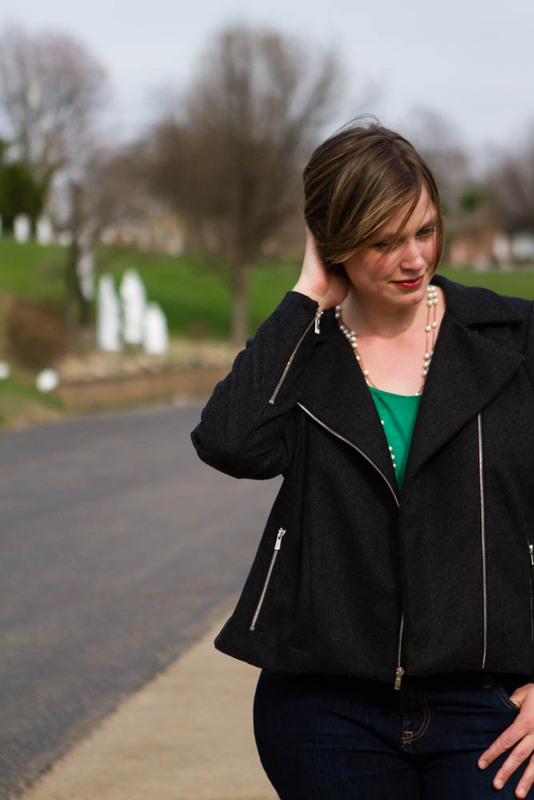 The inspiration for this bag comes from motorcycle jackets (specifically the “Ziggi” wool moto jacket that I made a few years ago that I’m sporting on my blog profile pic). 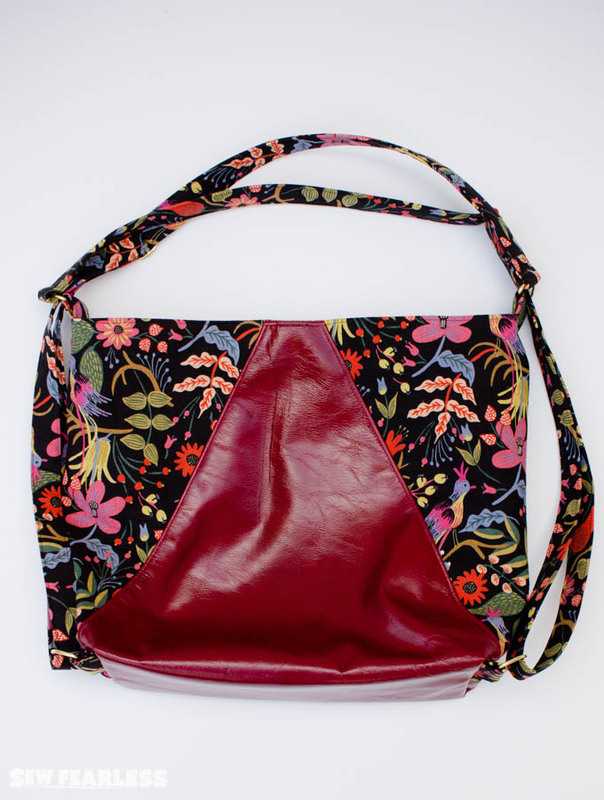 I wanted the diagonal design lines, topstitching, and exposed zippers on the seam. I wanted fun construction techniques. I wanted this bag to work hard too. Bags need function and form, and I think the Pavia Backpack has them both in spades. I’m telling you once you go backpack-as-purse you don’t really want to go back. It is just so much easier to deal with when you are on the go. However, it doesn’t have to be worn as a backpack. 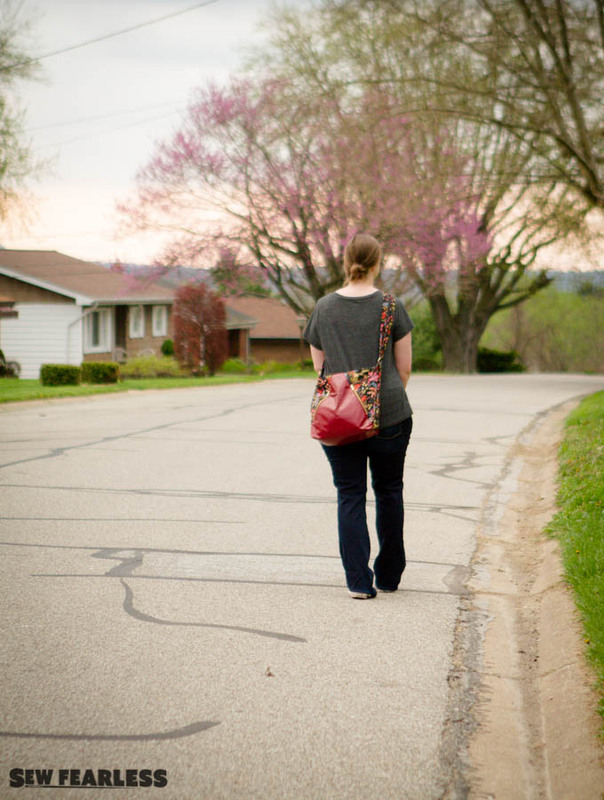 The Pavia Backpack converts to a shoulder bag in a jiffy. No fussing with clips, or extra straps to make the change. It doesn’t just stop there. 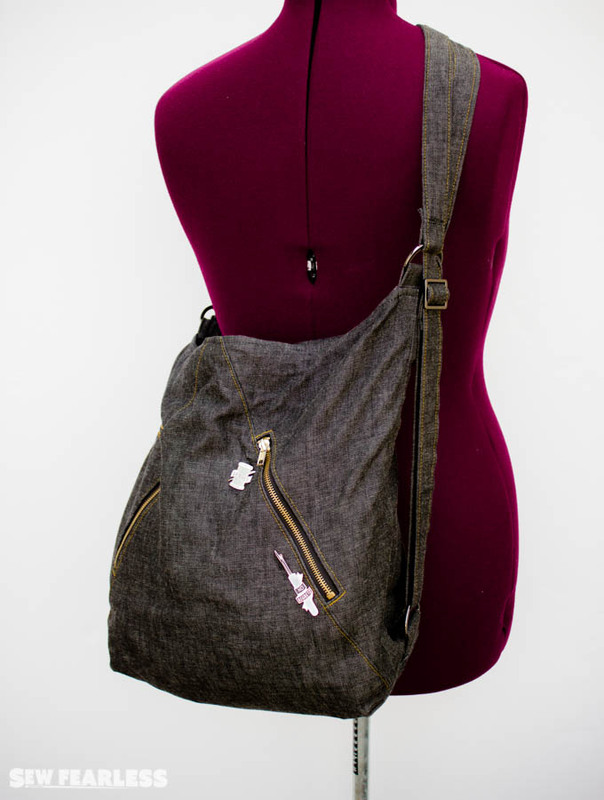 If you extend the straps out, the Pavia Backpack will turn into a cross-body “messenger style” bag. 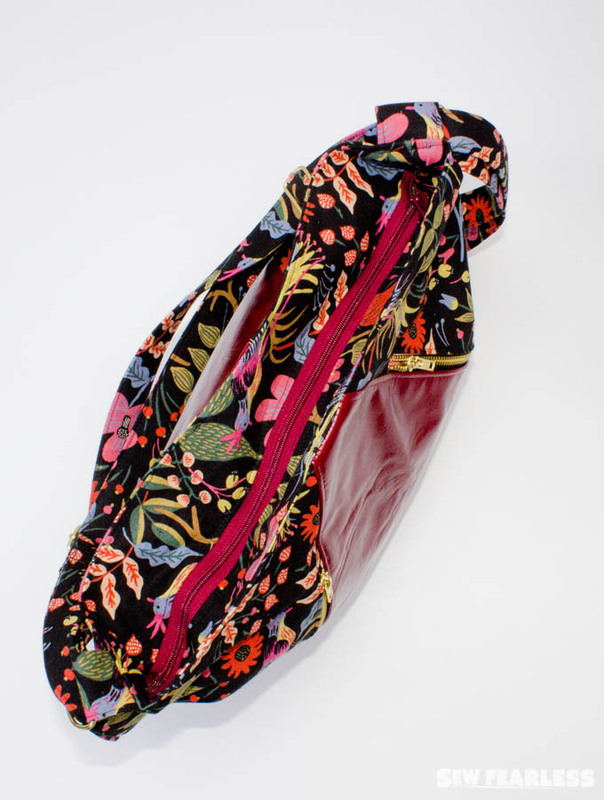 The top of the bag features a recessed zipper to keep your stuff in and little prying fingers out. 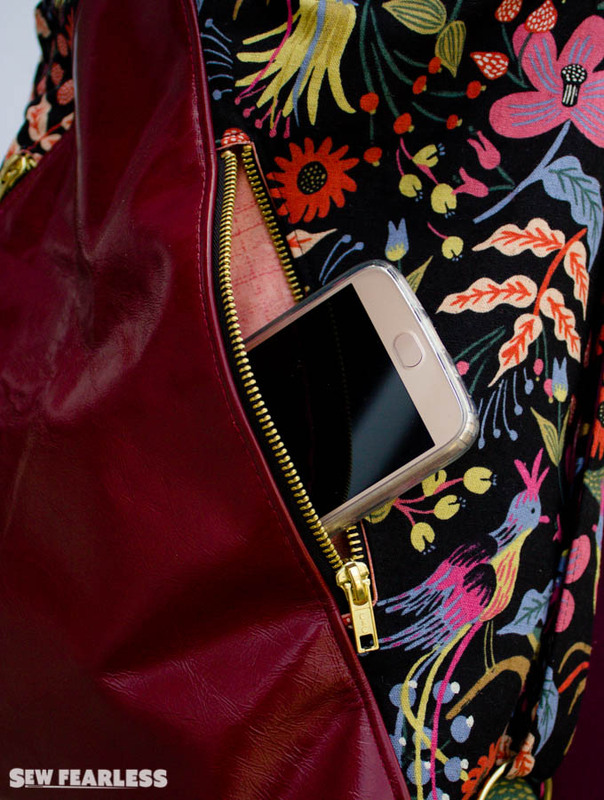 Inside, the Pavia Backpack has 2 pockets – a zippered pocket and a patch slip-in pocket. 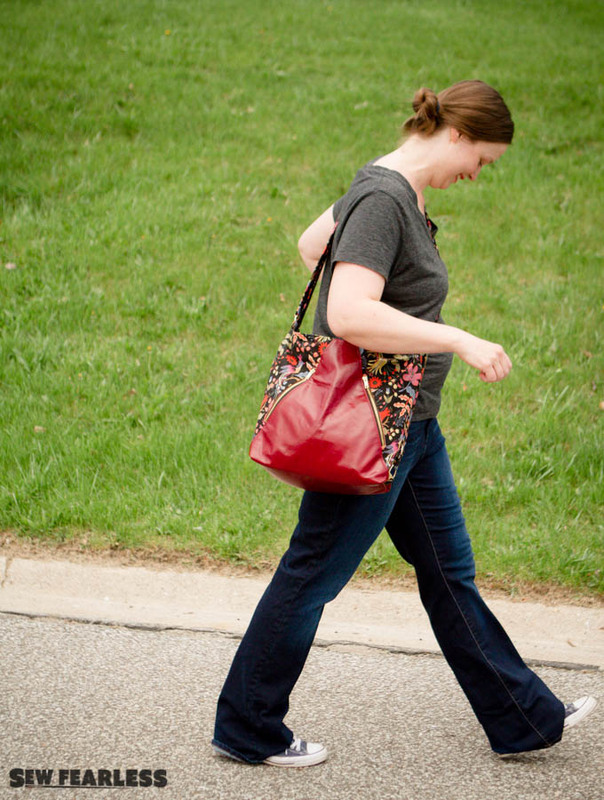 The 18 inch denim bag shown has been my go-to bag for almost a year now. I never leave the house without. 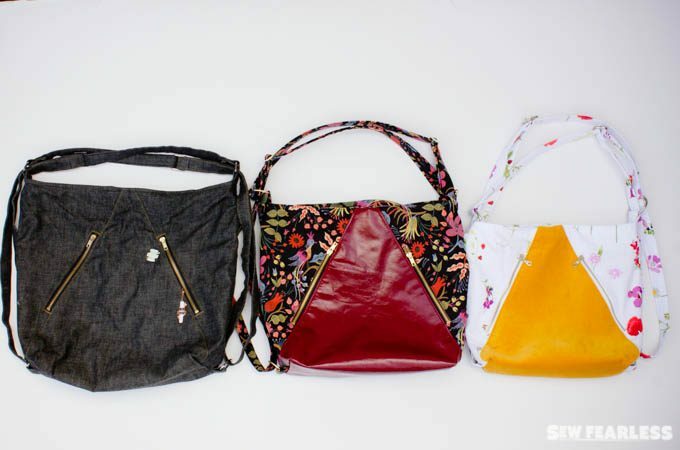 The pattern itself has been crafted and tested to make the sewing process as delightful as possible,with computer drawn illustrations and full-sized pattern pieces. 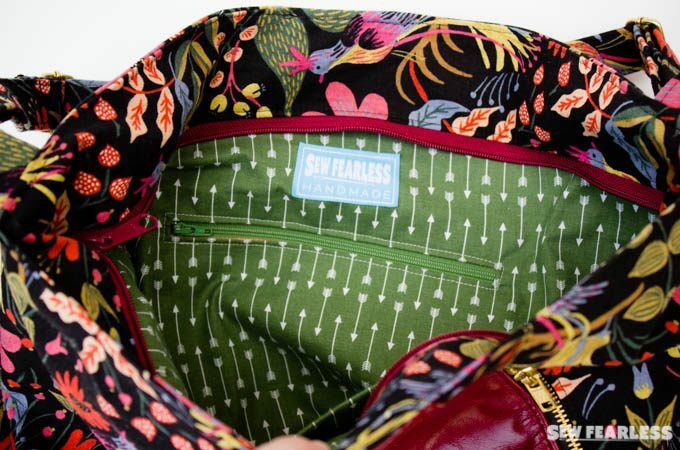 As with all Sew Fearless patterns, the Pavia Backpack pattern is designed to grow your sewing skill set. 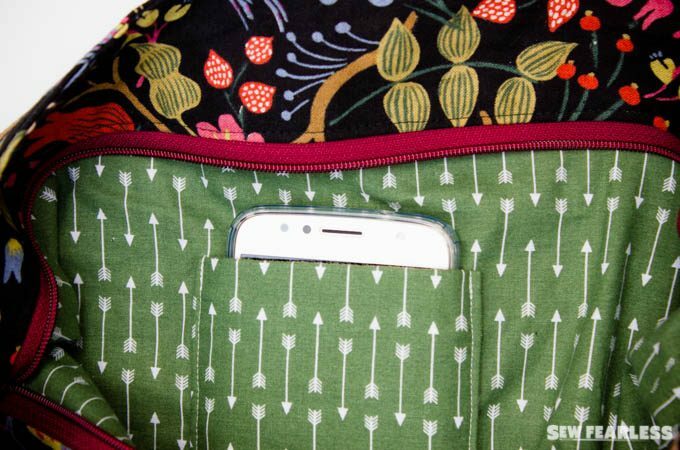 You will learn how how to install welt zipper pockets on a seam and into a lining, and how to add the structural support of a bag bottom. Get your copy today, but don’t wait! 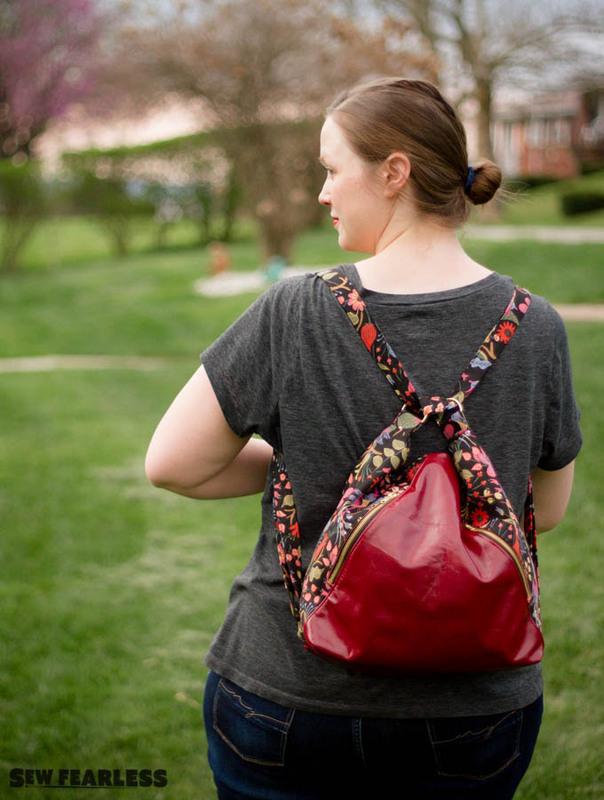 The Pavia Backpack Pattern is on sale until May 13th, 2018 only! It’s so fabulous!!!!! I’m impressed in so many ways: clever design, lovely details, and the fact that you accomplished all of that with so much going on in your busy life! Well done!!! I’m really excited about this pattern. I’ve never really carried a bag before but now that I’ve got a kid in tow, I have too much stuff that I need to have on hand and not enough hands. 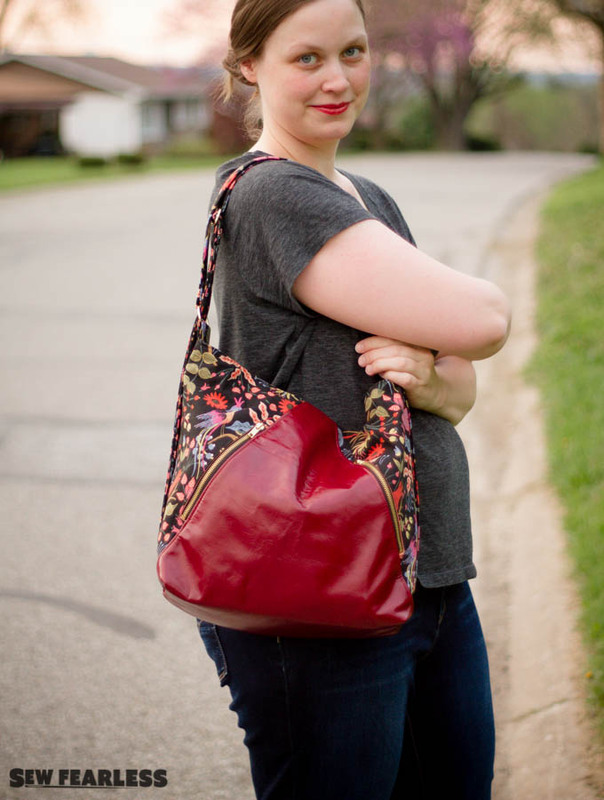 I love the design details on this bag but especially love the versatility in terms of all the different ways it can be worn/carried. I’m totally inspired by your denim version. I can’t wait to sew one this summer! I can’t wait to see what you sew! Just finished! I have to go have a baby tomorrow, but will try to post pictures sometime. 🙂 Thanks for a fun project! oh my goodness! Blessings on you and your baby! Jodi, it looks fabulous! You are so talented, and I loved your description of your style in the previous post.